Finis is not only a key player in the onion and potato industry, we also have an extensive and high-quality delivery programme with technically perfect equipment for all kinds of root products, fruit and vegetables. Since 1924, we have built up our expertise in all kinds of vegetables such as: Carrots, Tomatoes, Bell peppers, Beets, Garlic, Shallots, Oranges and other products If you cannot find your product on this website, please feel free to contact us. We like a challenge and are willing to find a solution together with you. Product are fed into the machine manually. The rest of the process takes place automatically. The capacity of the machine depends on the number of ianes (2, 4 or 6) and the number of steps per minute. The speed of the transport system is adjustable, allowing for an optional 25 steps per minute. The coring is the first stage and is performed by a specially developed turning knife that moves up and down. The coring depth and speed, together with the coring hole size, can be adjusted to suit various product sizes. 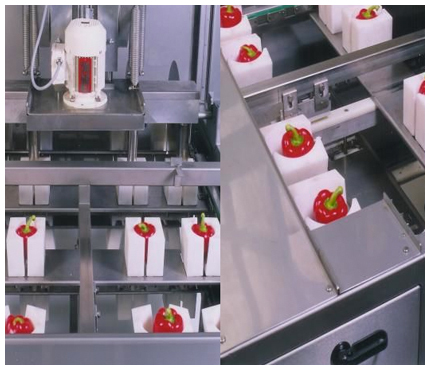 The drilled cores of the peppers are pushed out of the knife pneumatically after drilling. After this stage, the product is quartered by specially designed punch knives or halved with specially designed rotating knives. 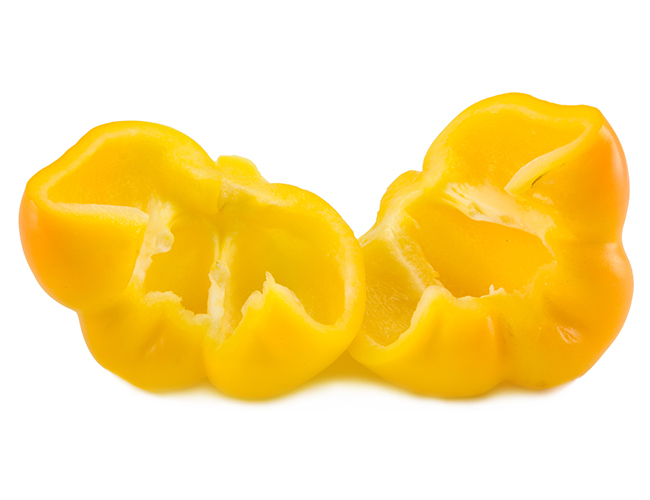 The cored and cut peppers are then automatically conveyed onto the inspection table.